Now packing 286bhp from its 2.0-litre four-cylinder turbocharged petrol engine, the TCR is capable of hitting 60mph from a stop in just 5.4 seconds – 0.3 seconds faster than the Golf GTI Clubsport S.
It means that the TCR produces 44bhp more than the regular Golf GTI fitted with Volkswagen’s optional performance package. Flat-out the TCR is able to reach 155mph – though buyers have the option to raise this to 162mph. Inside, you’ll find further references to the car’s motorsport influences. Premium sports seats are fitted up front, along with red-edged seatbelts and a sports steering wheel. But it’s not only styling touches which have been applied to the TCR. New 18-inch forged wheels sit on all four corners, which house perforated brake discs. It also benefits from a front-axle locking differential for better cornering performance. A series of additional packages are also available with the TCR. The first includes larger 19-inch alloy wheels, as well as the upgraded top speed. It also benefits from a sports version of the car’s rear damping system and traction control. The second includes 19-inch alloys in a different style, though this time shod in semi-slick sports tyres. Additional wheel locks with expanded anti-theft protection are also fitted as part of this pack. 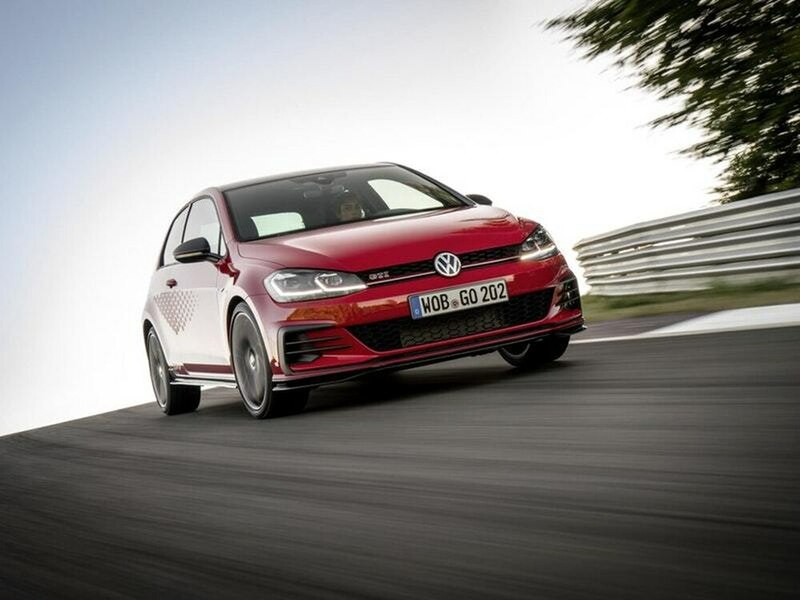 UK prices for the Golf GTI TCR have yet to be revealed, though it is reported to cost €38,950 (£34,500) in the car’s native Germany.